Hiring a marquee offers an option of hosting a wedding / reception / engagement / mendhi party / birthday or any other event at home where you have the most freedom and control. Hiring a Marquee saves money on hotel rooms and offers a stage for a bride or a host to celebrate an event without the hassle of having to travel. Parties and celebrations at home always have a more relaxed feel. Marquees offer a blank canvas that allows free range in terms of themes or decorations. The major advantages of a marquee are that you can pick and choose your themes and colours as you don’t have to work with existing decor. 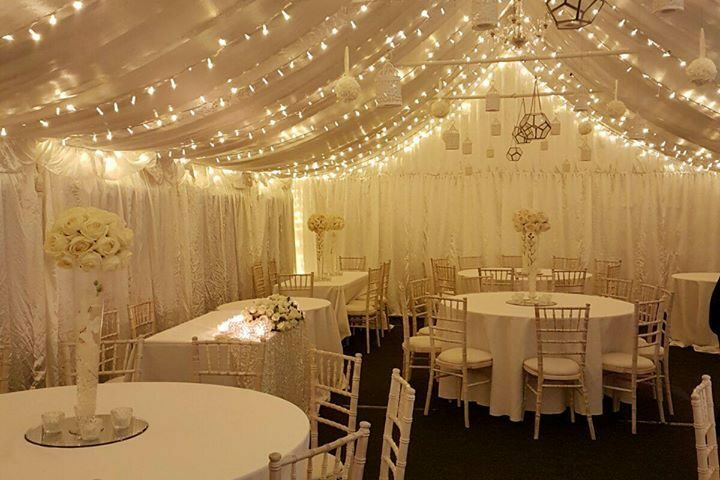 Having a Moroccan theme, shabby chic wedding, hanging lanterns, stylish cream, vintage party or bold and beautiful colours, the list is endless – Marquees offer flexibility to be all things for all parties, much more so than the interior of a hotel/venue hall. Marquees offer much less restriction with the number of guests you’re trying to accommodate, whereas with a venue you are limited to a capacity, with a marquee you get to choose your guest numbers. Whether a large event or small gathering, marquees are almost made to measure. One of the best things about a marquee is that you are protected from the elements when they are working against you, which let’s face it; that’s quite often up North. 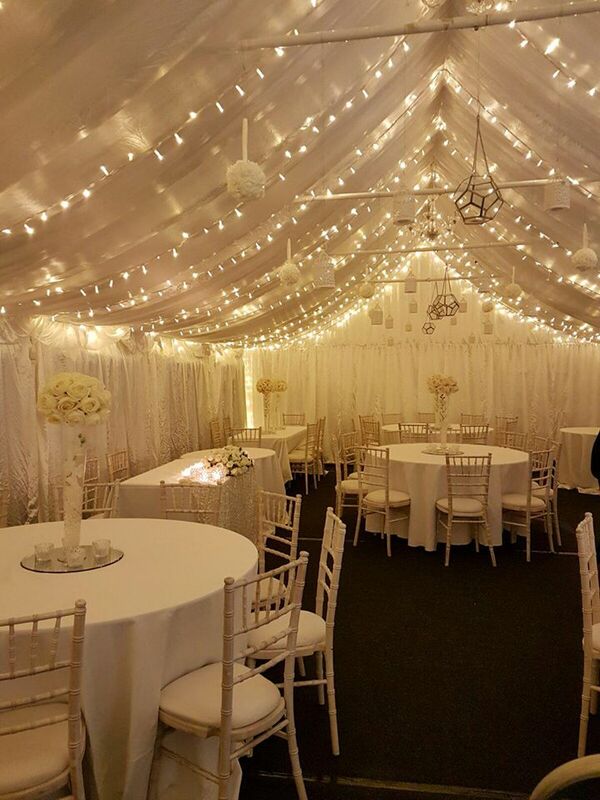 Marquees can be heated to feel cosy and warm, wooden flooring and tight sealed roofing ensures that the rain stays outside so that the party can be enjoyed inside all winter long. Summer marquees are great because windows and side panels can be removed to create one big flowing open plan space in your garden or venue. The beauty of a marquee is that is works for anything: a party marquee – birthdays, anniversaries, bar/bat mitzvahs, all kinds of celebrations, a corporate marquee, a wedding marquee.